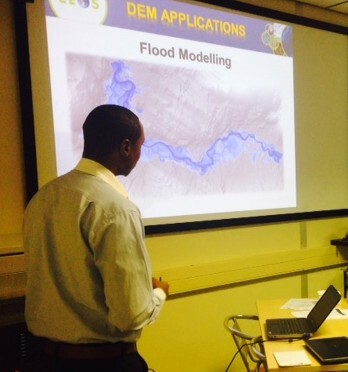 Training on Flood Modeling at a Previous SRTM-2 Workshop. Satellite Earth observation data in the form of Digital Elevation Models (DEM) of the Earth’s surface are extremely valuable for helping regional governments address and even get ahead of many of these issues, but using them requires both data access and user training. On September 19-22, 2016, our Working Group on Capacity Building & Data Democracy will collaborate with the United States Government (NASA, USAID, NOAA, USGS), the Secure World Foundation (SWF), and ICIMOD* to help address these needs during a four-day regional training in Kathmandu, Nepal. Understand the accuracies of DEM-derived products at various spatial scales. 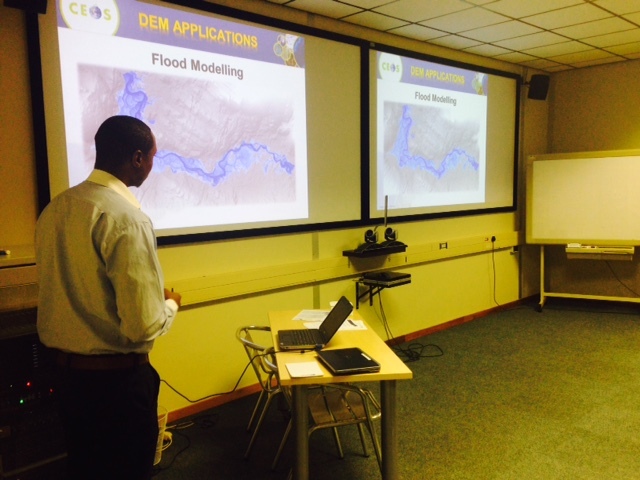 This workshop builds previous SRTM-2 training workshops held in Nairobi, Kenya (2013), Pretoria, South Africa (2015), and Puebla, Mexico (2015).